A top Russian astronomer say he expects humans to encounter extraterrestrial civilisations within the next two decades. Russian scientists expect humanity to encounter alien civilisations within the next two decades, a top Russian astronomer said on Monday. "The genesis of life is as inevitable as the formation of atoms ... Life exists on other planets and we will find it within 20 years," said Andrei Finkelstein, director of the Russian Academy of Sciences' Applied Astronomy Institute, according to the Interfax news agency. 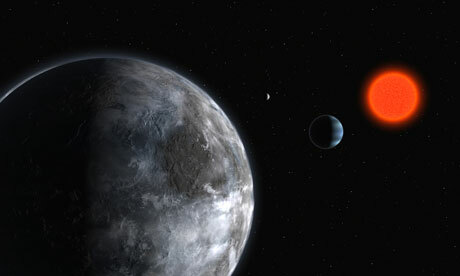 Speaking at an international forum dedicated to the search for extraterrestrial life, Finkelstein said 10% of the known planets circling suns in the galaxy resemble Earth. If water can be found there, then so can life, he said, adding that aliens would most likely resemble humans with two arms, two legs and a head. "They may have different colour skin, but even we have that," he said. Finkelstein's institute runs a programme launched in the 1960s at the height of the cold war space race to watch for and beam out radio signals to outer space. "The whole time we have been searching for extraterrestrial civilisations, we have mainly been waiting for messages from space and not the other way," he said. In March a Nasa scientist caused controversy after claiming to have found tiny fossils of alien bugs inside meteorites that landed on Earth. Writing in the Journal of Cosmology, Hoover claimed that the lack of nitrogen in the samples, which is essential for life on Earth, indicated they are "the remains of extraterrestrial life forms that grew on the parent bodies of the meteorites when liquid water was present, long before the meteorites entered the Earth's atmosphere."